As we can see here we’re running MariaDB 10.0.29. This installed from a repository that I created some time ago, as shown below. Now simply edit the .repo file that you’re using for MariaDB with your favourite text editor and change 10.0 to 10.1. In this case the baseurl line will now look like this after editing. On my server, this started updating the MariaDB-client, MariaDB-common, MariaDB-server, and MariaDB-shared packages to the 10.1.21 version. All packages successfully updated except for MariaDB-server, which failed. So essentially we need to finish the process manually. This can be done by running the following commands in this order. Note that as recommended, you should first take a backup of all databases before proceeding. This will stop MariaDB, remove the 10.0 package, install the 10.1 version of the package as per the repository update earlier, start MariaDB, and then run the upgrade script. You’ll need to enter the password for the user specified when running the upgrade. The upgrade took about 15 seconds to complete for about 8 databases that were less than 300MB in total size for all of them, as the contents are checked for compatibility note that the time for this part could vary depending on your databases. I’ve now shown you how to upgrade MariaDB 10.0 to 10.1. After updating the repository and running ‘yum update’, we need perform some additional manual steps as shown to complete the upgrade process. 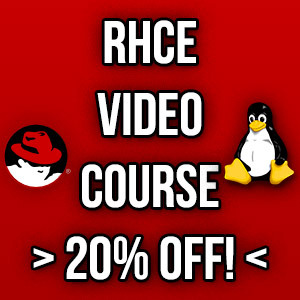 ← Which Version of CentOS/RHEL Linux Should I Use?